Tech Teacher Tidbits: Kleinspiration Giveaway! 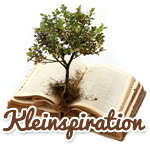 Erin Klein of Kleinspiration is giving away a $25 Target gift card. Who doesn't LOVE their dollar section!? I sure do! Check out her blog to see how to enter.